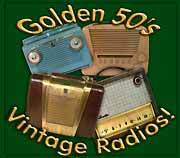 were quite popular during the 60's and 70's and came in different incarnations. The early unit are tube amplified, where later units are solid state. Tube sound, earliy solid state sound and sound of modern equipment are quite differet. Some of the record changer stereos have jacks for external speakers and fewer audio inputs, originally intended for hook up of a tape player, but can be used ofr example to hook up an iPd. Almost none of the record change rstereos have recording outputs. This means: perfect for listening but cannot be useed to record records from. In regards to inputs and outputs: observe the details in my feature sections if having specific requirements other than to listen to records. While Record Changer Stereos often are quite nice and have enough output power to fill a room nicely with music, they are simpler and less sophisticated than a full component Hi-Fi system as often only 1/4 to 1/2 of the technology used if compared with a full component type Hi-Fi amplifier. This means: In some cases Changer stereos sound amazign due to the much simpler amplifer circuitry, but do not adhere to as tight specifications to their counter part component systems. So: expect a bit more noise and hum, especially in systems that do not use a power transformer for their amplifier. If listening to music that has a lot of quiet passages, such as classical music, a full sized system may be a better choice, but will be more expensive. Work perfomred to recondition this unit: Amplifier: All capacitors in the power supply, and signal coupling capacitors were replaced, Deoxydized and lubricated all controls, connectors, switches. Record changer chassis: Nearly a complete tear down of the changer chassis: degreased, cleaned and re-lubricated all mechanical parts, Inspected and replaced rubber parts, such as motor mounts, Re-worked surfaces of drive parts, Cleaning and detail work. Full functional test. Description: This USA made Genertal Electric quality piece of vintage audio gear was probably made in the early 60's. All metal construction and rugged. It features a single eneded stereo tube amplifer that has a power transformer and a quality Garrard record changer chassis. The ultimate combination for quality vintage sound. The tone arm of the record changer operates with compapartively lighter tracking force making this unit suitable to play today's records. Records can be stacked for automated unitnerupted play and the original 45 singles spindle adapter that allows to stack singels is included. What great fun to play a stack of singles! 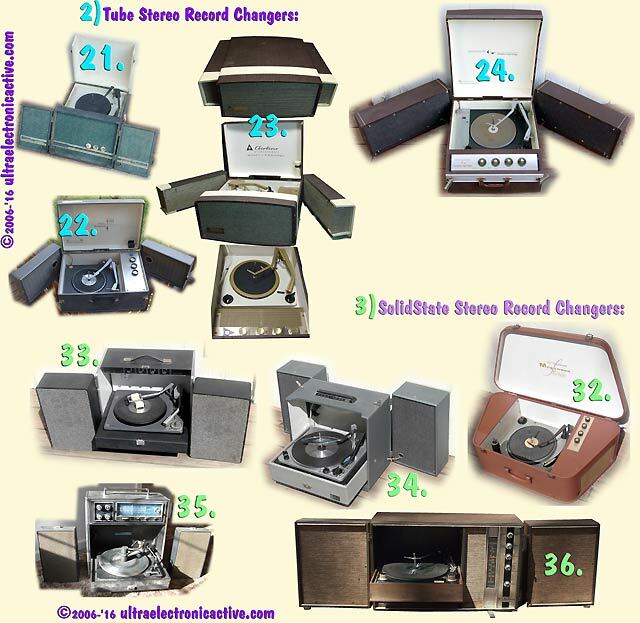 The changer also allows to play 16 and 78 RPM records and stylie for all record types are provided. This record changer automatically serves all record types of any size and can be used manually as well. The unit is designed "portable" in an all metal suitcase type casing. The speakers are hinged, and when hinged do no need speaker cables, but also can be detached and the unit provides quite long speaker cables, which allows to set the unit up as a home stereo. The unit provides jacks for the speakers, so other speakers coudl be used if desired. This unit is extremely easy to use and the unit outputs a good amount of volume, and of course sounds quite nice with it's vintage tube amplifier / vintage pseakers. The entire unit has been completely reworked and is ready for another life-time of vintage tube amplified music pleasure. Rework included a complete re-work of the amplifier which means each and every capacitor was replaced to provide reliability for many years without trouble and the record changer chassis was completely re-worked. Bring back memories - Enjoy the pleasure of Vintage tube sound! Condition: The unit is quite clean and is in excelent condition, however, there is one noticeable scratch/dent on the front next to the amplifier knobs. Other than that: the unit shows only the usual unavoidable (minor) signs of use and age, such as there discoloration due to age and losseness in the original fabric of the speakers. The unit otherwise provides lush unfaded color. Working Condition: Fully refurbished and working nicely - perfect in every regard and relaibly for decades to come. Lot: 1 Geral Electric USA made tube amplified portable all in one stereo record changer with original tubes installed. Other similar equipment refurbished to order below. 2-7 Weeks Lead Time - Price Range: Fully restorred typically: $400-$900 (solid state lower, tube higher). The goal with my work: to bring the equipment back as close as possible to original specifications and to provide reliably working condition for decades to come. This takes hours and hours and HOURS of paistaking detail orineted work. Thus prices based on the amount of time and parts needed (some are quite hard to find! - which again takes time!) to achieve this goal. Shop time to refurbish equipment to order (applies to ALL units shown in this section!) is in SHORT SUPPLY, so I may not be able to serve you very quickly, especially during late fall, winter and the first two months of the of the new year. Shortest turn around time: Mid summer. Rushing it and vintage audio equipment, or pushing for "discount prices" DO NOT GO TOGETHER! It takes as much time as it takes. If needing to rush: Please buy "AS-IS" and refurbish yourself. I do not compromise on this, as my goal is to provide quality products in every detail. Inquire for Details and larger Images --> Please refer to item nubers and type of unit listed in picture ! EXAMPLE: "Solid State RCA Portable Stereo Record Changer # 34 " . What is the difference between Record Changers, Record Players and the different turntable types? Multi Speed Turntables for 78, 16, 33, 34 -> CLICK HERE! 24. Westinghouse 1950's hi-Fi Tube Amplified Stereo Record Changer with Detacheable Speakers. 34. 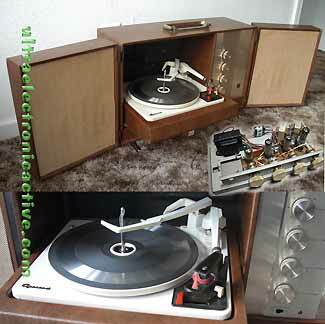 1960's solid state RCATable top Stereo with 4 speed recor dchanger SOLD! EXAMPLE: Tube Stereo Record Changer #23.